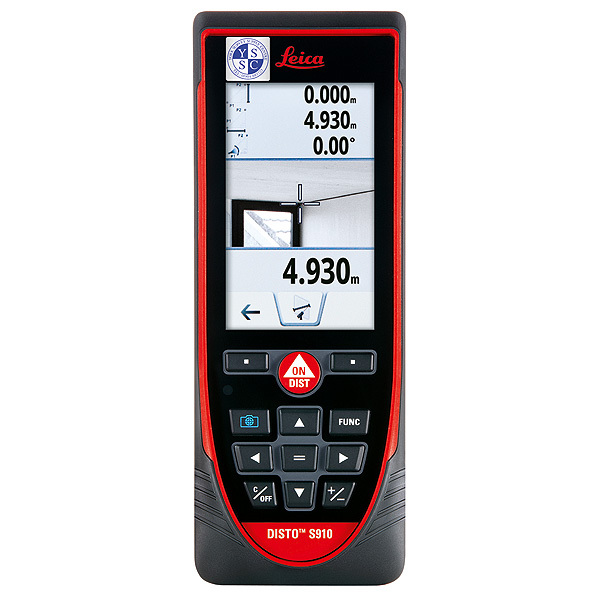 Measure fast and precise distances between any two points from one location with the laser distance meter Leica DISTO™ S910. Create easily as-built documentation, calculate roof dimensions, integrate data into BIM or CAD software for even 3D visualisations. This improved workflow saves valuable time and money - all this at ranges of up to 300m. 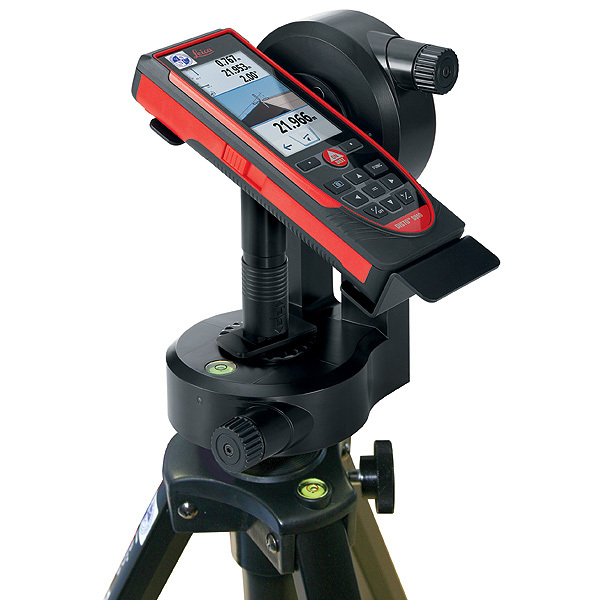 Measure from point to point with P2P Technology:- The integrated Smart Base enables you to measure distances (e.g. widths and tie distances) between any two points, angles and inclinations at the same time from one location. Thus, you’ll never have to reach for inaccessible areas again, enabling even the most complex measurement task to be quickly, accurately, and safely carried out. 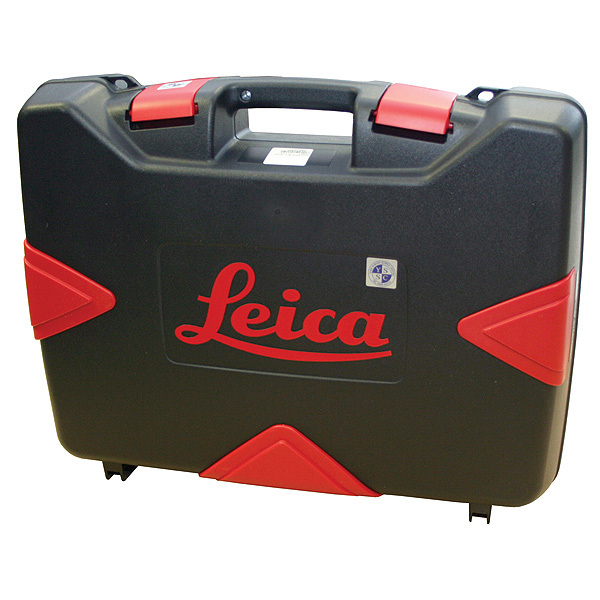 Capture measurement data in CAD format:- The Leica DISTO™ S910 can save all the measured points into a DXF file as a floor plan, wall layout or 3D point coordinates that can be downloaded to a PC via the USB interface. Shorten the workflow, save money and avoid mistakes: because it’s completely digitalised. Writing errors are a thing of the past. Real-time transfer of point data:- Transfer measurement data directly on site over the WLAN interface to a portable computer for further processing in your preferred software. Create a documentation or check a lay-out in real-time and transmit as many measurement points as you like - with or without pictures. 300m range with X-Range Power Technology:- With the innovative X-Range Power Technology on board the Leica DISTO™ S910 represents the measuring technology of the future. 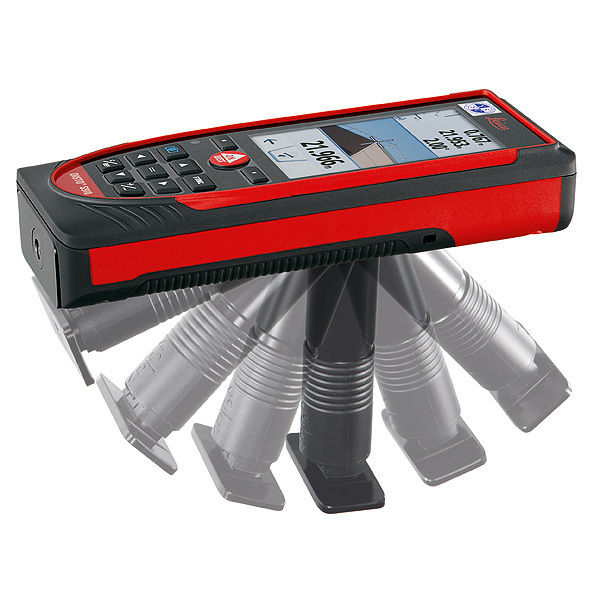 It achieves ranges of up to 300m and guarantees the best measuring performance even to poorly reflecting objects. The stable tripod adaptor offers fine adjustment for convenient and accurate aiming. Minimised measuring deviation for indirect measurements.